After completing his undergraduate physiotherapy degree & gaining extensive background experience in a range of medical specialities at major hospitals in the UK and South Africa, Pete specialised in the treatment of musculoskeletal pain conditions. Pete went on to attain an MSc with Distinction in Spinal Manipulative Therapy at Coventry University in 2008, one of Europe’s leading courses in the advanced clinical management of musculoskeletal pain, including spinal conditions, and arm and leg conditions. In 2010, Pete published his own research (a randomised controlled trial, or RCT) into the effects of physiotherapy treatment in thoracic spine conditions. He chose Musculoskeletal Science & Practice , the leading peer-reviewed international journal in hands-on treatment for musculoskeletal pain, read by physiotherapists, osteopaths and chiropractors worldwide and used by universities and colleges to teach the next generation of practitioners. 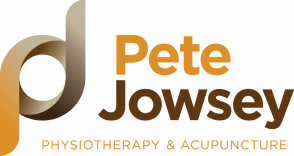 Alongside Pete’s spinal expertise, he has worked at an advanced level of clinical practice for over a decade, including clinical specialist & clinical lead roles for peripheral joint conditions (shoulders, elbows, hips, knees, ankles and feet) and spines. Pete is a Clinical Mentor for the MACP (Musculoskeletal Association of Chartered Physiotherapists), the prestigious & leading clinical excellence group for musculoskeletal physiotherapy in the UK, and has mentored Masters degree students from around the world, as well as being a member of the Association of Chartered Physiotherapists in Sports and Exercise Medicine. Pete has worked in Extended Scope Physiotherapist and Clinical Lead roles in the NHS in the past but now works solely in private practice. 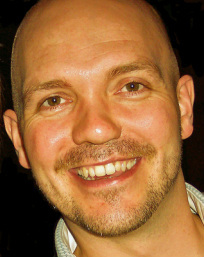 To complement his physiotherapy skills, Pete is trained and registered with the British Medical Acupuncture Society (BMAS) and uses acupuncture in conjunction with other treatments; integrated with advice or exercises; or on its own depending on the clinical presentation and the client’s preferences. Pete works with every day people and sports people and athletes up to Commonwealth Games level. He was a presenter at Physiotherapy UK 2013, the annual professional conference for physiotherapy in the UK, at the International Convention Centre, Birmingham, 11th & 12th October 2013. Pete's research now has over 1000 global reads on ResearchGate and 25 global citations. Wherever the site of your pain, you are in safe and expert hands with Pete.